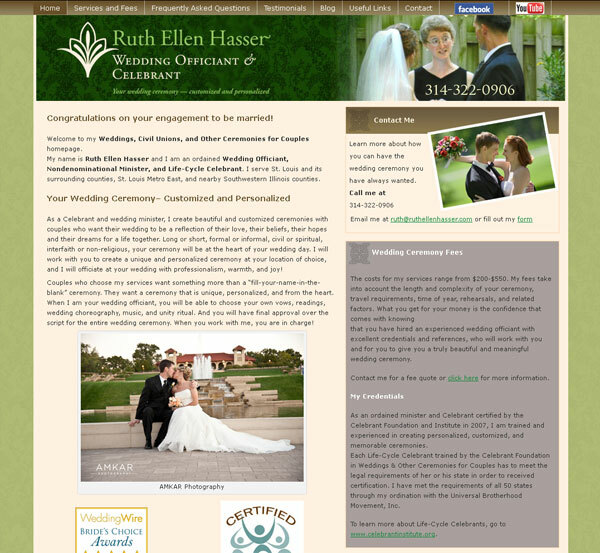 The website for a Chicago wedding officiant I gave a sneak peak to a few days ago is now live. This was a re-design project of an original site that had been created on Wix…an easy to use website creator but lacking in functionality and true internet marketing (SEO) capabilities. Here is a quick snap shot of the site prior to redesign, note the mobile version looks completely different from the desktop version. 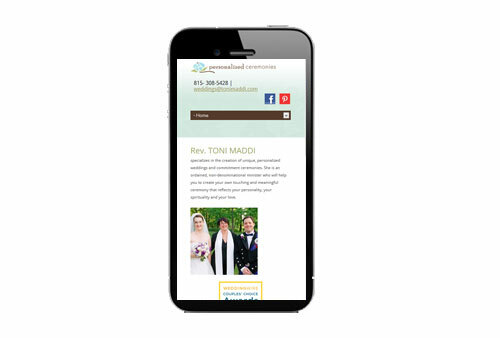 Client, Toni Maddi , was very keen to keep the ability to update the website herself but really wanted a site where she could have full control of SEO. 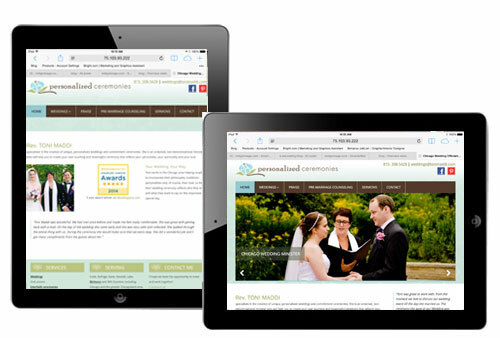 WordPress was the natural answer and it was this platform we used to build a fully responsive website for her wedding officiant business. We created a very clean looking template design and updated the color palette a little. Toni had lots of fabulous photographs of wedding ceremonies she had conducted and these were used liberally throughout the site. All the pages were optimized for the search engines and we built specific landing pages for the locations and areas she serves. The template was coded to respond to whatever device was being used to view it giving the visitor a consistent experience regardless of device they were using. The site has been live for less than 24hrs but I have just heard from Toni that she has already received an inquiry through it! 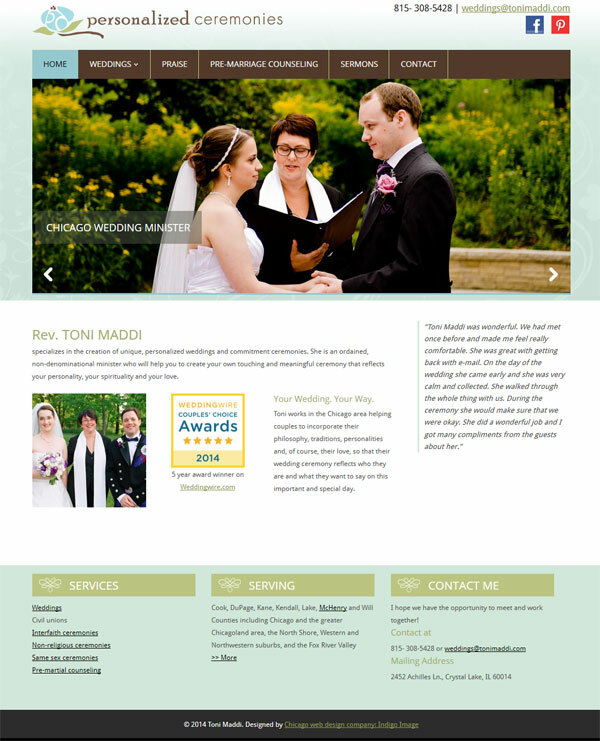 It is not quite ready to go live, but here is a quick sneak peak at the new web site we have been working on for a Chicago wedding officiant. 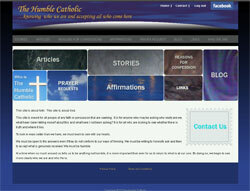 I am just waiting for a little more content then we will be able to pull the trigger and get this website on the road. 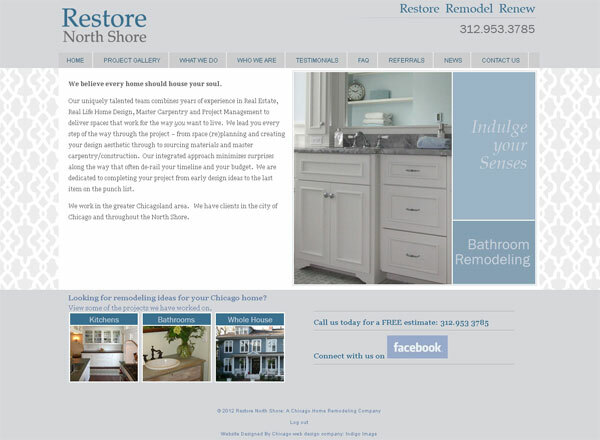 We are currently working with Janet Summerfelt, an independent Reliv Distributor here in Chicago, in the freshen up of her WordPress website. In our kickoff meeting she came well prepared, having not only found a stock image she wanted to incorporate in a new header but also ideas for a color palette. While some clients need our complete creative input, others like Janet have a firm idea of exactly how they want their site to look and only require us to execute their ideas. We are happy to work either way. 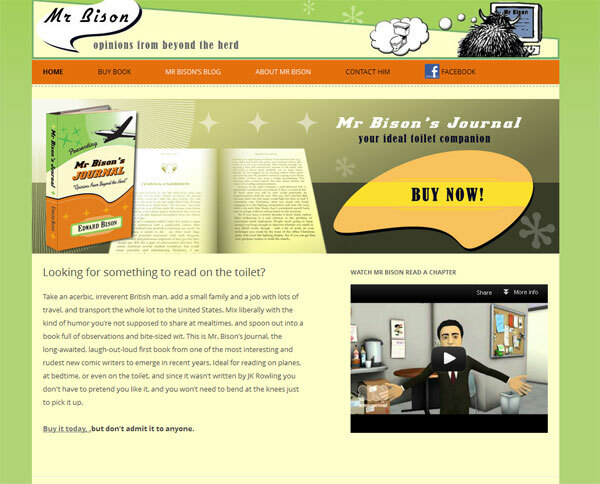 This is the original look of the site. It is amazing what a few color and image updates can do. Tips for Making your blog images more search engine friendly. If you have just started blogging, or even been blogging for a while here are a few tips that will make your images more friendly to both the search engines and your site visitors. Scale your photographs to the exact dimensions which you wish to use them, don’t rely on your blog to re-size your photos, they will download much faster if they are scaled pre upload. Ideally your photographs need to be small in file size but in great quality, large files can take a long time to download frustrating your readers and driving them away. Most camera will name photographs some like D03456, an arbitrary number that means nothing. Re-name your photographs so they encompass the following. 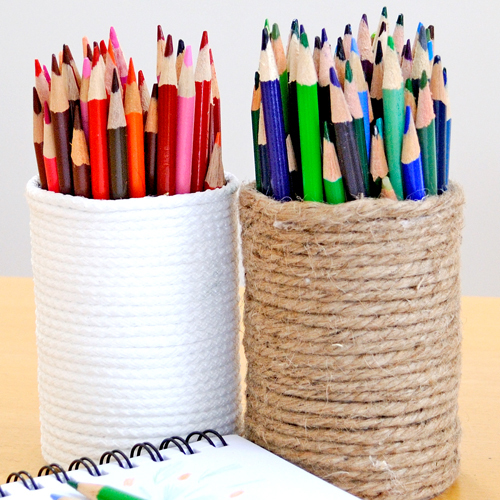 e.g You are about to write a blog post all about how to make some rope pencil pots. When search engines visit you site they are unable to “see” a photo of a rope pencil pot, all they understand is the code (HTML) powering the site which in this case looks like this. By giving the photo a meaningful file name it essentially helps the search engines ” see” the photo. You have uploaded your photo now what? Alt stands for “Alternative text” and adding an alt tag to an image further enhances the ability of the search engine to understand the content of the photo. As you can see the phase I am using is the same as the name I gave the image file. The ease in which an alt tag can be added to a photo depends on which blogging platform you are using, WordPress is much easier than Blogger. And here is a little test to show you this effort does pay off. Click the link below, it is the Google image search for Rope Pencil Pots …now look at what they have listed as the first image! 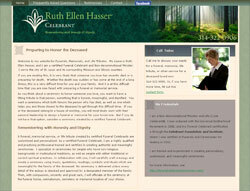 Launched today are two new wordpress powered website for celebrant Ruth Hasser. 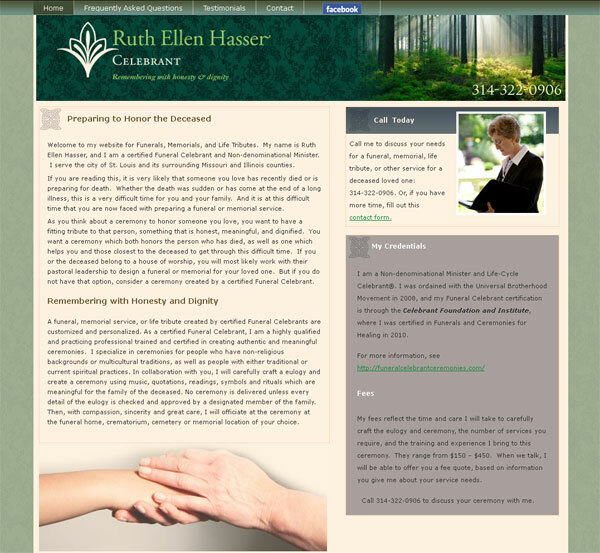 Ruth has two sides to her business, weddings and funerals, or life tributes. As you can imagine the target audience for each is very different. 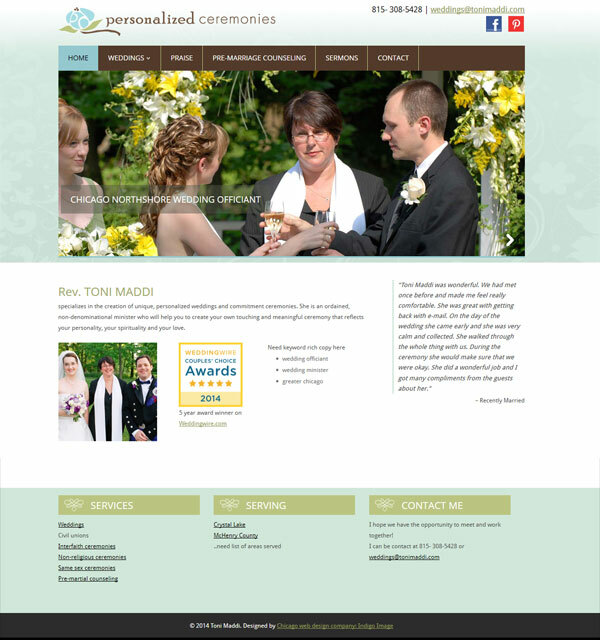 A first generation site, designed and developed in 2009 for her wedding business, served her well and really helped grow her client base as a lead generation tool. But like all tools they need to be refined to offer maximum effectiveness, so this second generation site offers social media integration allowing her clients to connect with her via Facebook and YouTube and we took the opportunity to move the site to the more robust blogging platform WordPress. This has the added advantage that Ruth now has full editorial control of the content of the the site. Ruth was happy with the look and feel of the first generation site so we kept the design the same but did increase the width to accommodate the most common screen resolution. 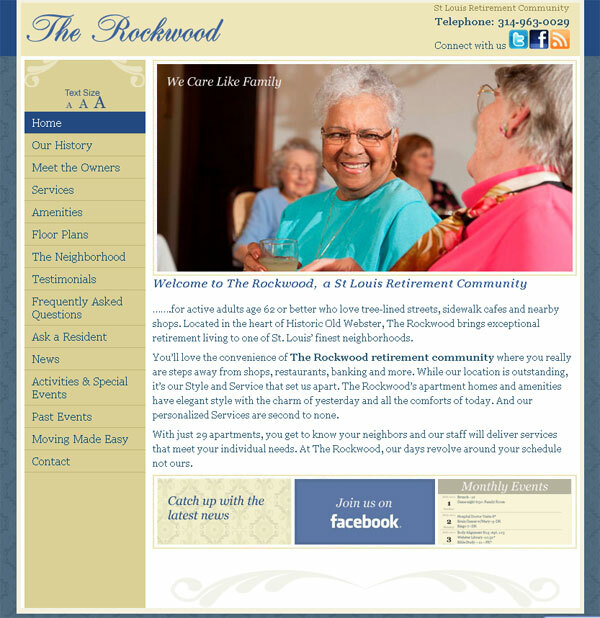 A website dedicated to the funeral side of her business is a new endeavor. 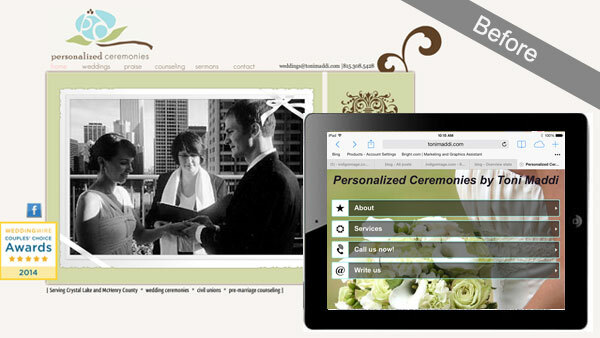 We kept the brand image the same as the wedding site but used different imagery and a more muted color palette. Switching from Blogger to WordPress can be a little daunting for a client and there is definitely a learning curve. As well as training we also provided Ruth with a set of screen cast videos which outline how to do the most common updates such as publishing a new blog post and uploading photographs.